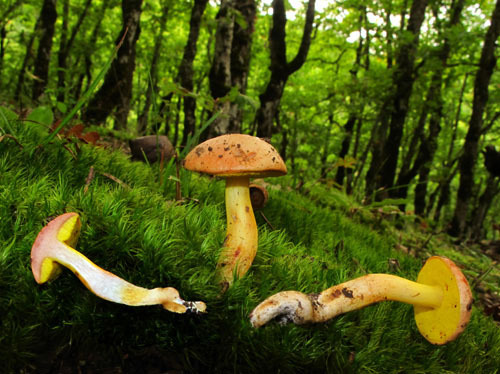 The only European member of this genus is usually easily recognized due to the combination of viscid cap cuticle, bright yellow unchanging hymenophore and the colours of the flesh. Cap up to 7 cm, at first hemispherical then expanding to convex, pale pink to ochraceous, beige or very pale brown with more or less pronounced pinkish tint, distinctly viscid especially in wet weather. Stipe cylindrical, ventricose or clavate, usually tapering towards the base, mostly bright yellow and often paler towards the base, sometimes almost entirely cream-coloured, often in places with pinkish to brownish tinges. 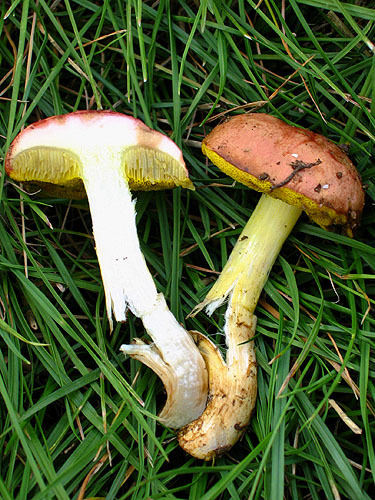 Flesh whitish or cream, always more or less pinkish under the cuticle, often spotted vinaceous in the stipe base, unchanging when exposed to air. Tubes bright yellow, unchanging when exposed to air. Pores bright yellow, unchanging when bruised. Smell not distinctive. Taste not distinctive. 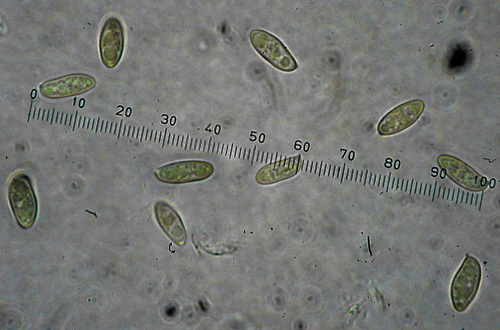 Spores 10.5–16 × 4.5–6 μm. Habitat. Deciduous forests, mycorrhizal with oaks (Quercus) and beech (Fagus). Distribution. Widespread in Europe, but rare in a number of countries. Similarity. 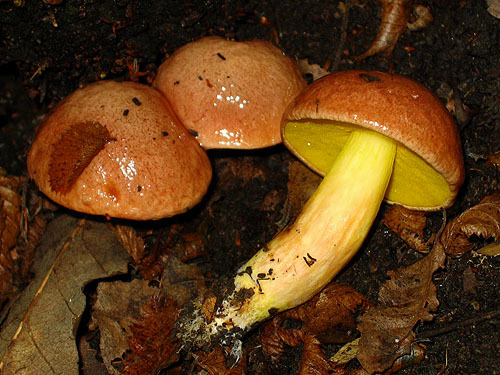 At first sight Aureoboletus gentilis probably might be confused with Xerocomus persicolor. 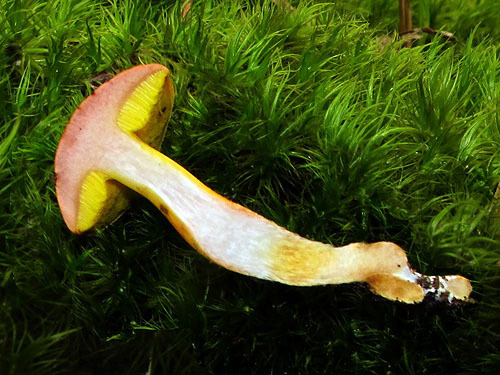 The later however has dry cap cuticle, differently coloured blueing flesh and blueing pores.